We do not get too much small-college baseball news on BluGrass Baseball very often, mostly because many of the schools’ websites are slow to update and statistical information is often unavailable. However as Georgetown College pointed out with its win over Morehead St. this week, the Kentucky small-college baseball programs deserve some attention too. With that in mind here is the first post in what hopefully will become a semi-regular “Small College Spotlight” series. Georgetown College may have secured a win over Division 1 Morehead St. this week, but the Tigers sit at just 12-12 on the season after the big victory. NAIA Georgetown is 3-5 in Mid-South Conference play and is 4-4 at home. Top hitter Tyler Fisher, who was the MVP of the New York Collegiate Baseball League this summer, has done his part by batting .366 with five home runs, 14 RBI and 17 runs scored through the first 24 games. Senior right-handed pitcher K. C. Massie has been the Tigers’ best pitcher, boasting a 4-2 record and 2.17 ERA in six starts to go with 31 strikeouts and 11 walks. 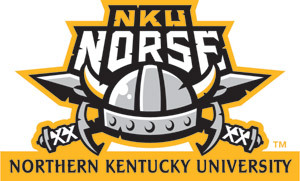 Northern Kentucky University was ranked No. 27 in the latest NCAA DII poll from Collegiate Baseball Newspaper and has won eight of its first 12 games despite playing without 2010 Great Lakes Valley Conference player of the year Jason Crisper. The Norse still list Crisper on the 2011 roster but had expected word last month as to whether the NCAA would grant the senior outfielder would a fifth year of eligibility after an injury limited him to seven games as a freshman at Miami (OH). NKU ace Dave Middendorf, a senior left-handed pitcher and 2010 draftee, is 2-1 with a 2.39 ERA and 29 strikeouts compared to just four walks in 26 and one-third innings. Transylvania University junior right-handed pitcher Taylor Bugh was outstanding in a 7-1 Transy win over defending Midwest Conference champion Ripon. Bugh surrendered just one run on four hits in a complete-game performance while striking out 10 batters and walking just one. Bugh is 3-0 with a 2.95 ERA and 19 strikeouts to go with 4 walks in 21 and one-third innings on the season. The Pioneers are 6-3 to start the 2011 season. Transy is not the only Kentucky NCAA DIII school playing well early in the 2011 season as Thomas Moore College has started the year 6-0 and is ranked No. 25 in the latest NCBWA DIII top 25 poll. In NAIA play the University of the Cumberlands and Union College are among the hottest teams in the country. Both teams have already won over 20 games to go with five losses. Union’s 21-5 record is tenth best in the NAIA, and Cumberlands follows close behind at 20-5. If you are a representative of a Kentucky small-college team and wish your school to be included in a future Small College Roundup send any relevant information to jhale@blugrassbaseball.com.